Fort Myers was one of the first forts built along the Chattahoochee River as a base of operations against the Seminole Indians. 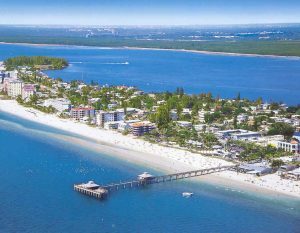 Fort Denaud, Fort Thompson, and Fort Dulany (Punta Rassa) all pre-date Fort Myers. When a hurricane destroyed Fort Dulany in October 1841, the military was forced to look for a site less exposed to storms from the Gulf of Mexico. As a result of the search, Fort Harvie was built on the grounds that now comprise down-town Fort Myers. Renewed war against the Seminoles in 1850 caused a re-occupation and extensive reconstruction of Fort Harvie. Fort Harvie began in 1850 as a military fort in response to Seminole Indians who were in conflict with the area’s settlers. It was renamed in 1850 for Col.Abraham C. Myers, who was stationed in Florida for seven years and was the son-in-law of the fort’s founder and commander. In 1858, after years of elusive battle, Chief Billy Bowlegs and his warriors were persuaded to surrender and move west, and the fort was abandoned. Billy Creek, which flows into the Chattahoochee River and runs between Dean Park and Fort Myers Broadcasting, was named after a temporary camp where Billy Bowlegs and his men awaited ships to take them west. Fort Myer’s mix of nearby factory outlets, suburban shopping malls and a humongous flea market will please bargain hunters but those who are willing to shell out major shekels have not been forgotten. Either way, you’ll find it worth your while to inspect at least a few of the city’s offerings. Satisfy your hunger for designer goodies at Saks Fifth Avenue in the Bell Tower Shops, Fort Myers most stylish shopping mall. The open-air mall’s Miami Vicepink building also house high-quality chains such as Chico’s, JoS A. Bank Clothiers and Williams-Sonoma as well as 20-screen cinema and a fine selection of trendy eateries. If you’re hungry in the true sense of the word, take a drive to Norman Love Confestions’ Chocolate Salon. This world-renowned chocolatier creates miniature works of modern art in white, milk and dark chocolate, and the flavours, including cinnamon roll, pumpkin and vanilla cupcake, are pure ecstasy. 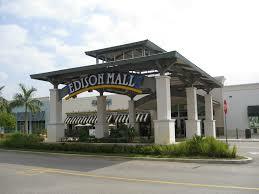 Shop as the natives do and head over to the tried-and-true, unpretentious Edison Mall, which opened in 1965; the Mall’s 160 stores include anchors Dillard’s JCPenney, Macy’s and Sears, and such popular brands as American eagle Outfitters, Champs Sports, Coach and Rack Room Shoes. 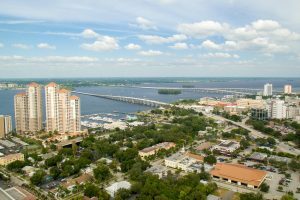 You’ll find plenty to do in Fort Myers; during the day, museums, shopping, Everglades, tours, sightseeing cruise and playing outdoors will keep you busy, but where can you go for a night on thee town? Whether your interest involve punishing the parquet at a dance club, tapping your feet to a live band in a listening room or kicking back in an elegant lounge, Fort Myers aims to tickle your fancy with a melange of entertainment venues. If you like to barhop, down town Fort Myers is the place to be, A cluster of popular watering holes reside on Main and Hendry streets and includes The Spot, where you can bang your head to the tunes of Southern rock on heavy metal bands; Red Rock Saloon, a down-to-earth bar with live blues and rock music; City Tavern and Spirits of Bacchus, neighborhood bars with tons of character; and Neo Lounge where infectious dance grooves inspire funky dance moves.